A time of hidden conflict and secret warfare; when battle-lines were drawn and re-drawn between brother and brother. This is a record of those times, set forth by autolocutor Apologist. The ancient and crumbling Apocrypha of Davio, a relic of the Second Founding, lists eight successor Chapters to the Thirteenth Legion. Herein lies the tale of the brethren of the Praetors of Calth. A new beginning... on page 62. First off, this is my new log for a big ol' project that I'll be working on for the next few months – some pre-heresy Ultramarines. 2) Develop an attractive army with a backstory that links in with existing canon to satisfy my inner fluffhound. 3) Stick to existing canon where possible, and make up fitting stuff where I want to do something fun and new. The backstory will be developed (and justified) as I go, but the bare bones are that this army represents the fifth company of the fifteenth chapter of the Legion, who bear the honorific the Praetors of Calth, led by Chapter Master Orpheus. After the heresy, the veterans of this force will form the basis of the successor chapter the Praetors of Orpheus – but at the moment, they are simply some of the first of the new Ultramarines drawn from Macragge at the start of the Great Crusade. 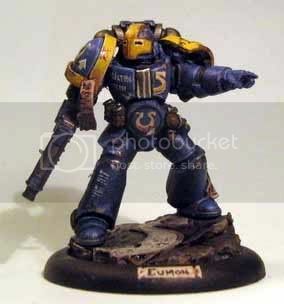 I'm sticking to Codex markings as far as I can see, which means that they'll be blue with gold trim (all the Ultramarines in the Visions series of artbooks have gold trim rather than company trim), and will use archaic versions of the Insignium Astartes (since the Codex Astartes hasn't been codified yet). 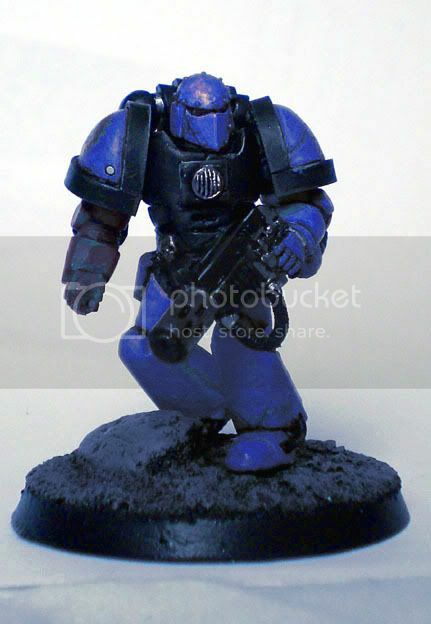 The left shoulder of each Space Marine will bear personal heraldry based around the Legion symbol, as I want to reinforce the idea that each Space Marine is a hero in and of himself. Well, there's the ambition – let's see if I can do it justice! Last edited by Apologist; 23-05-2016 at 10:51.